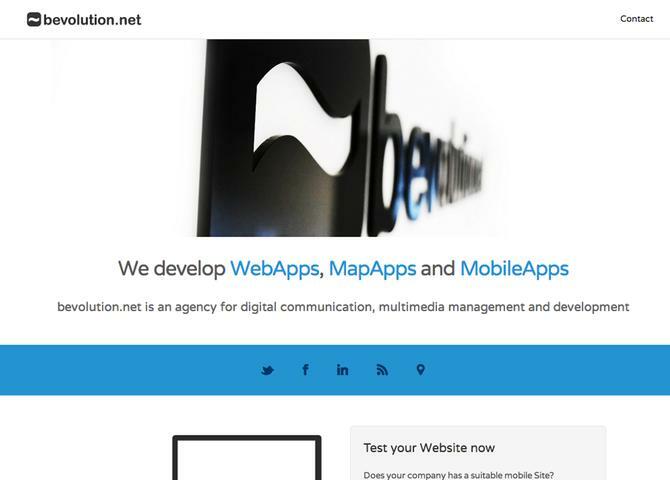 bevolution.net is an agency for digital communication, multimedia management and development We are a creative, technologically oriented agency. Since early 2008 we advise our clients in the implementation of communication objectives. Based on our own experiences portfolio companies and through the use of modern technologies We advise you goal-oriented design, responsive design, plan and develop: Mobile, web, apps, e-commerce, social media and online marketing strategies.